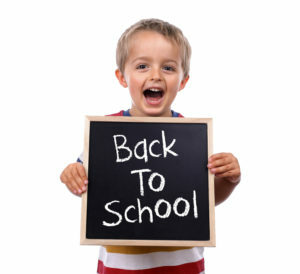 School time is here, and hopefully we are all excited about school! One good thing school time brings is routine. 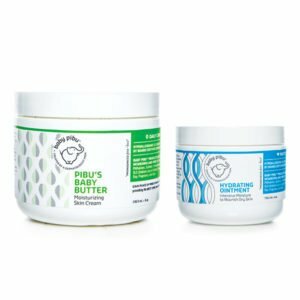 Dr. Amy and the Baby Pibu team want to share a few back to school skin care tips to remind us all of what we need to do to keep our skin healthy throughout the school year. Summer may be over, but don’t forget to keep wearing your sunscreen! Summer is gone but don’t forget the sunscreen! If your child has a fair skin type and hair color, remember that your child can get a sunburn after only 10-15 minutes of intense sun exposure. Playground time is essential for our kids but remember that they can sunburn out there! As part of the morning routine, apply a Broad Spectrum, SPF 30+ sunscreen. If your child participates in an afterschool outdoor activity, re-slather on the sunscreen after school. Germs- germs- stay away! Kids can’t help but have close encounters and interactions with their fellow students at school. When you combine close interactions with the numbers of kids at school, there is an overall increased risk of infection including increased skin infection. Germs to avoid include bacteria like Staph and Strep that cause boils; viruses like coxsackie that cause hand/foot/mouth disease; and fungi like dermatophytes that cause ringworm. Remind your children to routinely wash their hands, to avoid touching their eyes and nose (entry points for germs), and to not share drinks and food with friends. Remember to always keep your skin hydrated. Routinely slather on the moisturizer. Slathering on the daily moisturizer is important to keep our skin both moisturized and healthy. This is particularly important for kids with sensitive skin or eczema-prone skin. Slathering on a cream or ointment right after the bath or shower is a great time to lock in moisture. Wash you face twice a day with a cleanser. It can be as simple as Dove soap or as fancy as a department store brand. Consider a cleanser that has a low dose salicylic acid every other day to every day- to both prevent acne as well as to exfoliate the skin. If you are using a prescription-graded retinoid and are having some peeling, consider gently exfoliating away this dry, peeling skin with your own fingertips when you are washing your face in the morning. A Clarisonic device can also be used for this. Incorporate a tinted moisturizer with a sunscreen into your morning routine. Consider Revision’s Intellishade Tinted Moisturizer. Daily sunscreen is key! Apply prescription-graded retinoid at least three times weekly. Consider using Monday-Wednesday-Friday and a weekend day. Knowing the days of the week will make you more accountable to using your retinoid. As for a moisturizer, there are so many good ones out there! Choose an oil-free one if you are acne prone. Recommended over-the-counter ones include Oil of Olay and Neutrogena. Beauty Counter, Rodan and Fields, and other department store brands have appealing ones that may feel better and smell better. Enjoy having your kids back in school and having a few basic skin care tips that can keep everyone’s skin healthy and happy. ← What Should I Put on my Registry?